With 2,723 WPI, American Brandon Stanton leads the TOP100 once again in 2018. 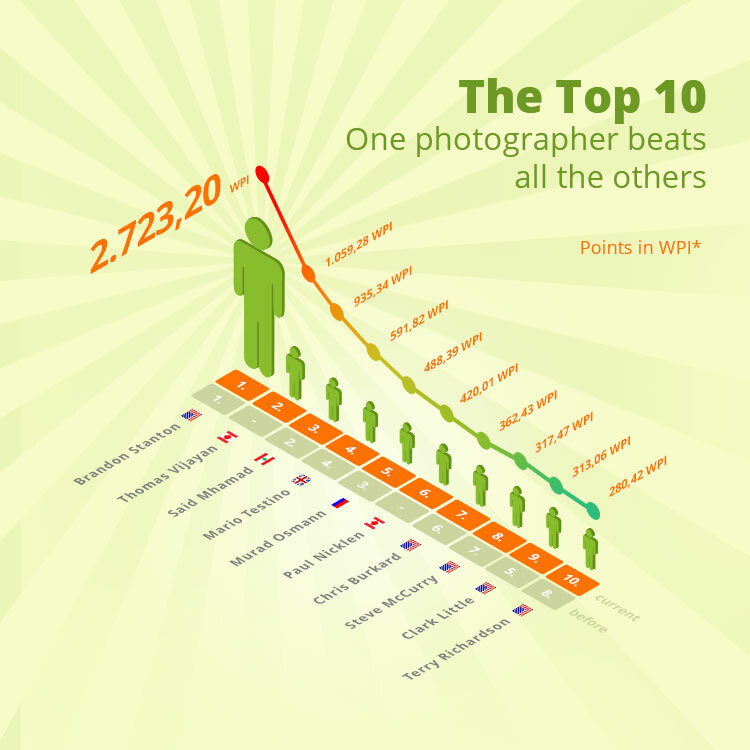 Surprisingly, two Canadian photographers are among the ten most popular photographers in the world for the first time. Wildlife photographer Thomas Vijayan enters directly at the number 2 spot with 1059 points. Paul Nicklen reaches 6th place, also with wildlife photography and with 420 WPI. Once again in 2018, the majority of photographers (86%) are from North America and Europe. 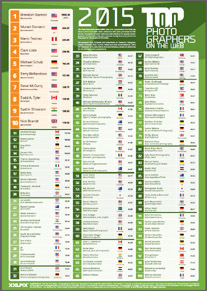 The leading nation in the TOP100 is still the USA with 41 photographers, followed by Germany with 15 and the UK with 12. 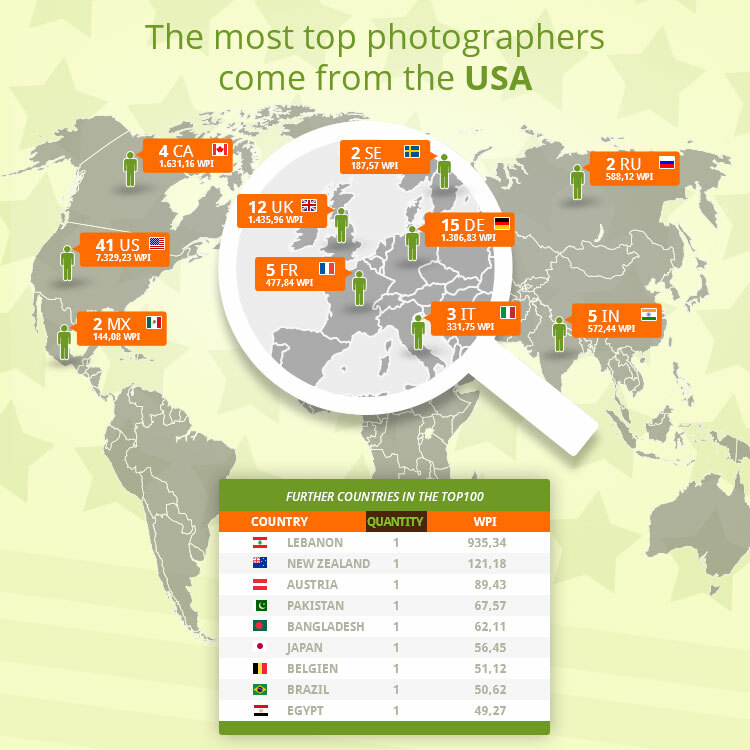 France and India each have five photographers in the current ranking. Two Canadian wildlife photographers managed direct entry in the Top 10 in 2018. In total, five new entries made it directly into the rankings of the 20 most popular photographers in the world. 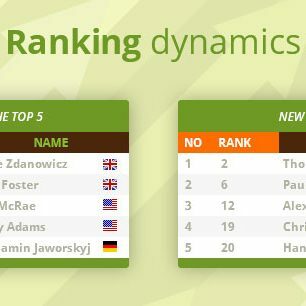 The British landscape photographer Dave Zdanowicz was the highest climber, jumping 139 positions to the number 69 spot with 66 WPI and ranking in the TOP100 for the first time. 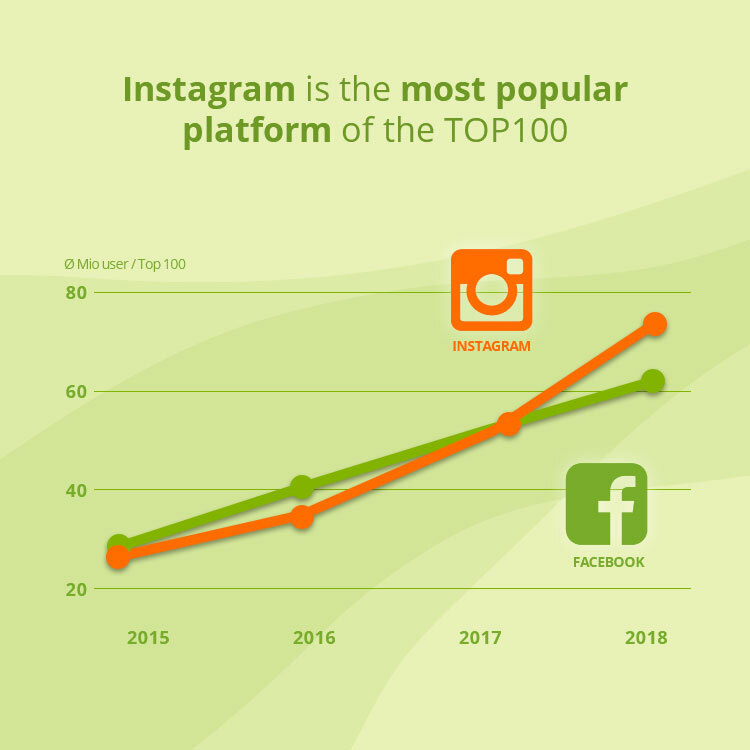 Instagram will be the most important social media platform for photographers in 2018, replacing Facebook. 99 of the TOP100 photographers use Instagram and thus reach an average of 30,000 more fans than via Facebook. In the 2017 survey, Facebook was still the most important social media platform. The Web Popularity Index (WPI) takes into consideration the three key factors of the social web: reach, interaction with users, and external references. Thousands of social media and web indicators for popular photographers of the present day were collected during the survey period and evaluated for the creation of the index. We analysed: fans, followers and subscribers on Facebook, Instagram, Twitter, Pinterest, Flickr, Tumblr, 500px and other social networks, ratios for interaction with subscribers, fans and followers, as well as references for the photographers’ publications. All the photographers of our ranking at a glance: Download the official Poster of the “TOP100 Photographers on the web” as a PDF. 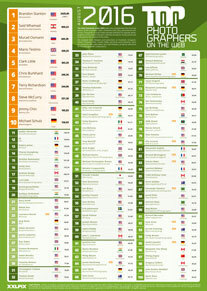 With all the information on countries of origin, genre and the Web Popularity Index. You can also view the rankings for the previous years here. Simply select the year and download the rankings.